One of the fun things about being a pet writer is that people send me interesting story ideas out of the blue. 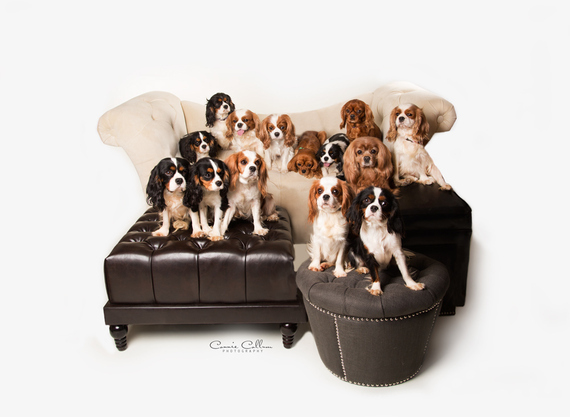 So when I got on email on Sunday, November 23 about the rescue of almost 100 Cavalier King Charles Spaniels the day before, I started making calls to learn more. 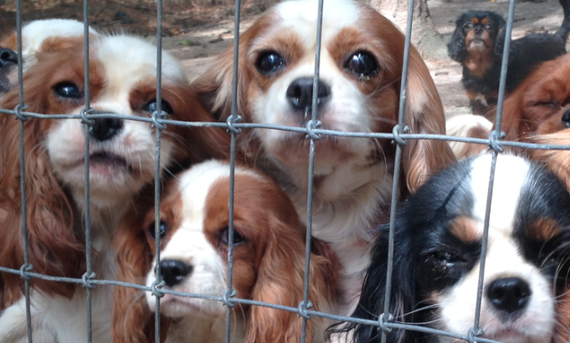 What I heard is a dramatic story of dog lovers united by the rallying cry, "No Cavalier left behind!" 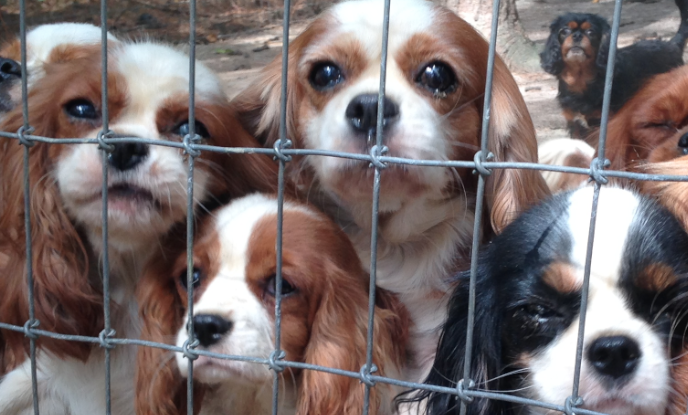 For about a year, rescue advocates in Birmingham, Ala. had been investigating and attempting to shut down a local puppy mill where over 150 Cavalier King Charles Spaniels were being bred. Despite attorney Angie Ingram getting involved in May 2014 and even taking photos that showed the dogs with medical issues that needed attention, such as eye infections, the mill was not shut down. Instead, the breeder decided to sell around 100 dogs at an auction in Missouri on November 22. "We did not want to have to do this auction -- we didn't want that to be the end result at all," Wilk told me. "But we did what we needed to do at the time because we refused to let them go into the hands of other puppy millers." What they did was raise $184,000 in 12 days from all over the world -- donations poured in from the U.S. as well as places like Australia, the United Kingdom and the Slovak Republic. People that have Cavaliers are just sick thinking of a Cavalier in that situation... they are just the most loving breed. It does not matter how neglected they've been, how humans have failed them, as soon as they know that you're there to love them, they instantly trust you and want affection. Attorney Ingram was entrusted to do the auction bidding. She had spoken with other cavalier rescuers attending the auction about the strategy, and it was decided that Ingram should bid on the youngest -- and therefore most expensive -- dogs first. When the auctioneer made comments like, "They've been bred and they might be pregnant," that drove up the price even more. "I blew through a lot of money very fast," Ingram told me. "My daughter was sitting on my right-hand side, keeping up with the numbers like nobody's business... I knew we weren't going to make it to the end." She sent a text to the Birmingham team that she'd need more money to save all the dogs, and they put a plea on social media for people to make direct deposits to Ingram's PayPal account. She received almost $80,000 in half an hour. "I was just floored by how quickly that money rolled in," she said. "I can tell you, the Cavalier community is just phenomenal. And I think it reached far beyond that -- it was just dog lovers or animal lovers in general." The combined rescue effort saved 96 Cavaliers, two Cocker Spaniels, seven Shiba Inus and one French Bulldog. 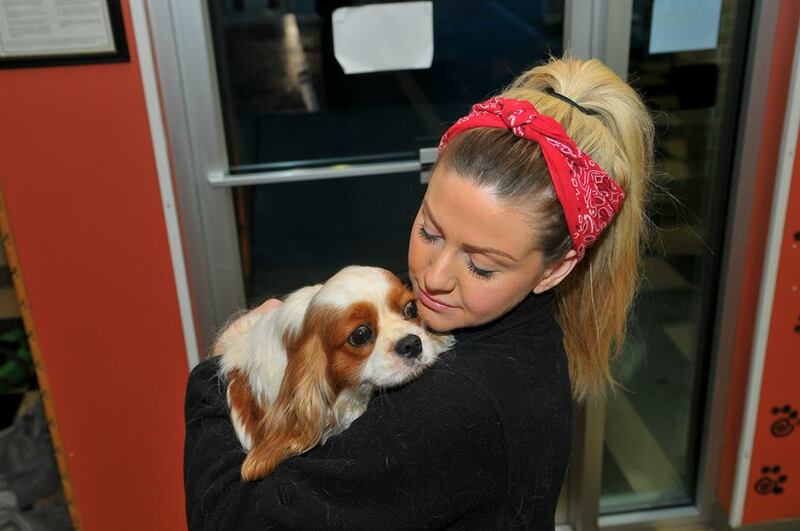 The Greater Birmingham Humane Society transported many of the dogs back to Alabama. 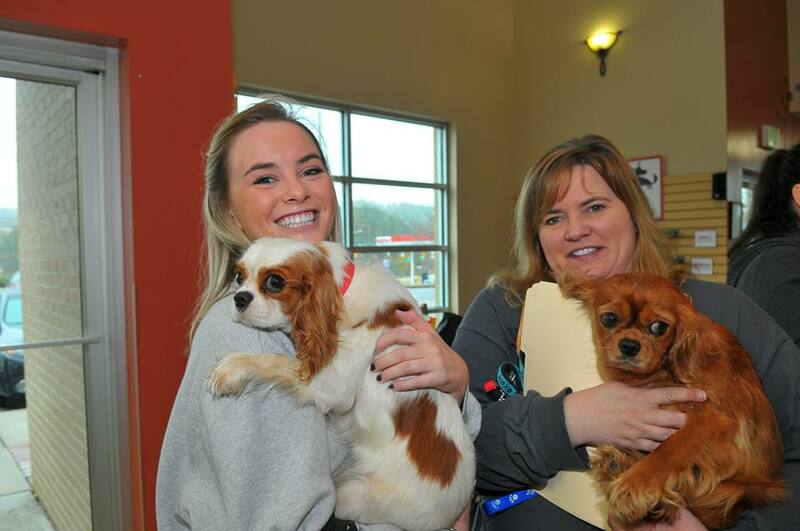 The next morning, the veterinary team at Birmingham's Caldwell Mill Animal Clinic met for breakfast at 5 am to prepare for a day of donating their services to the rescued dogs. Andy Sokol, DVM, said to say the staff was excited to treat the dogs "would be an understatement." Wilk had contacted them about the auction in advance, so the day was well organized. 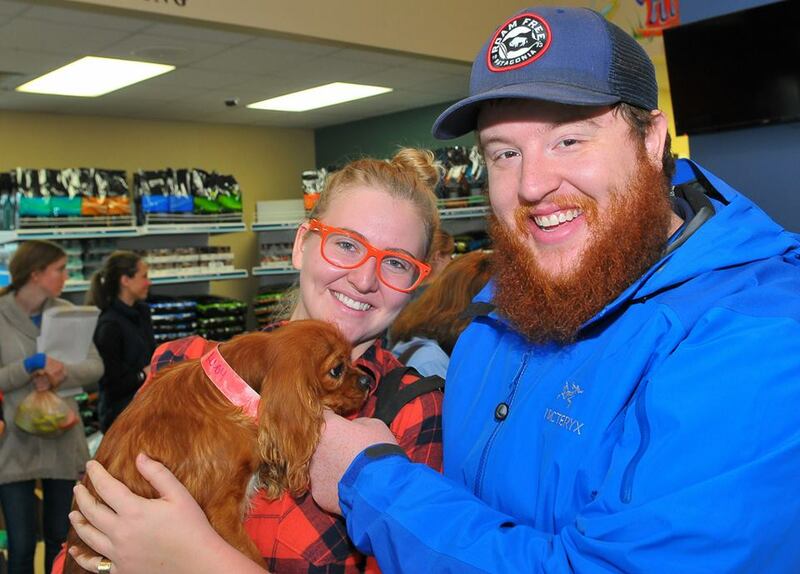 As each dog arrived, Wilk's crew put a name tag on them, the veterinary team gave them a chart, and a volunteer escorted each dog through a series of stations. At the first station, the team drew blood for a heartworm and intestinal worm check, and the cardiologist listened to their hearts. 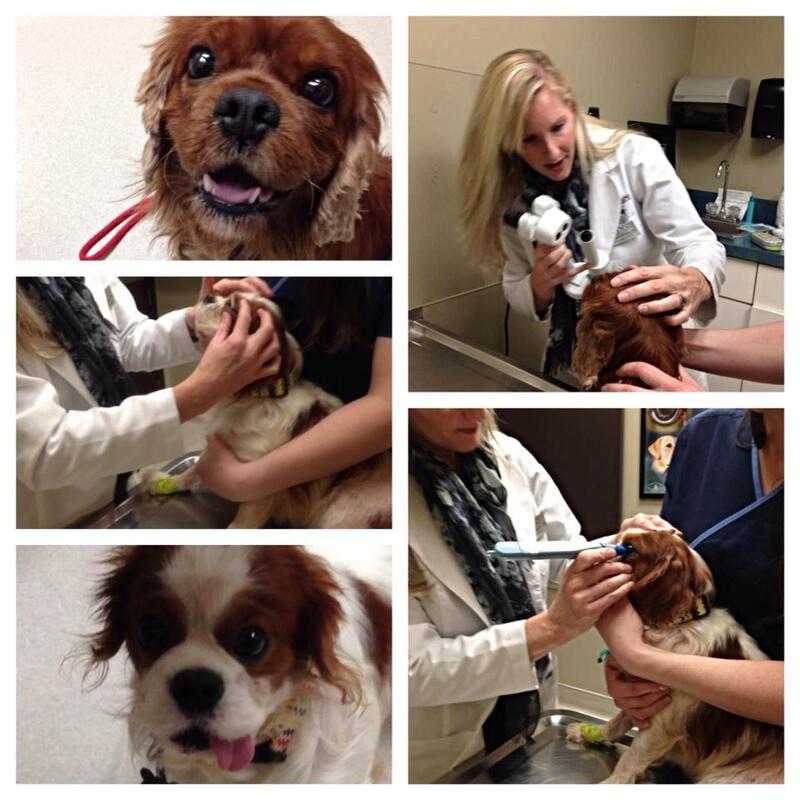 At the second station, the veterinarians gave physical exams, wrote up individual reports and vaccinated the dogs. 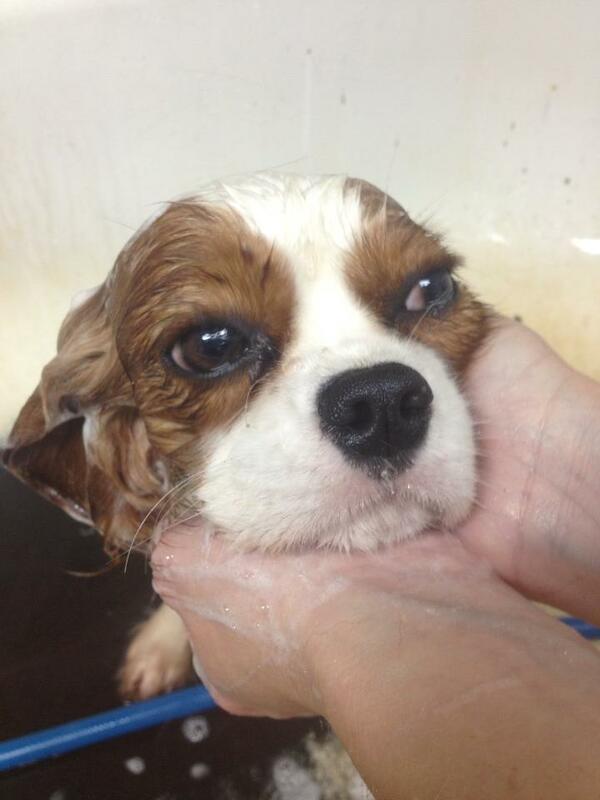 Then Wilk's volunteers bathed the dogs, clipped their nails and groomed them. "I don't think any of these dogs had ever had a bath before," Sokol said. Sokol said all of the dogs had dirty ears -- a few with infections -- about half had hernias (which is hereditary), some had fleas and skin infections, and a few had heart murmurs, luxating patellas (a kneecap that comes out of place), and "pink eye." "This was just a terrible situation of puppy mills and breeding dogs," he said, adding, "If this is going on in this one breed, you can imagine other breeds." Ingram and Wilk say they aren't stopping with saving these dogs -- the ultimate goal is to end puppy mills and dog auctions. They declined to go into specific legal actions because they don't want to affect any outcomes. In the meantime, the dogs are getting TLC from their foster families. They'll start being available for adoption early next year.